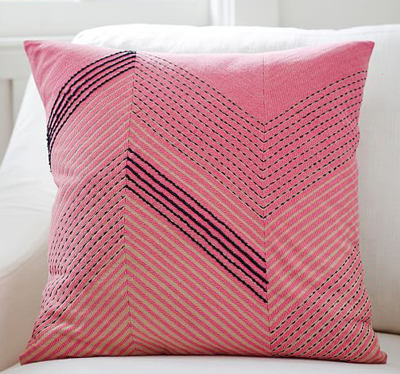 The fun zigzag pattern on this Archdale Embroidered Pillow Cover is accented with tiny stitches that add subtle complexity and texture. $49.50 Sale $29.99. Free shipping. Buy here.